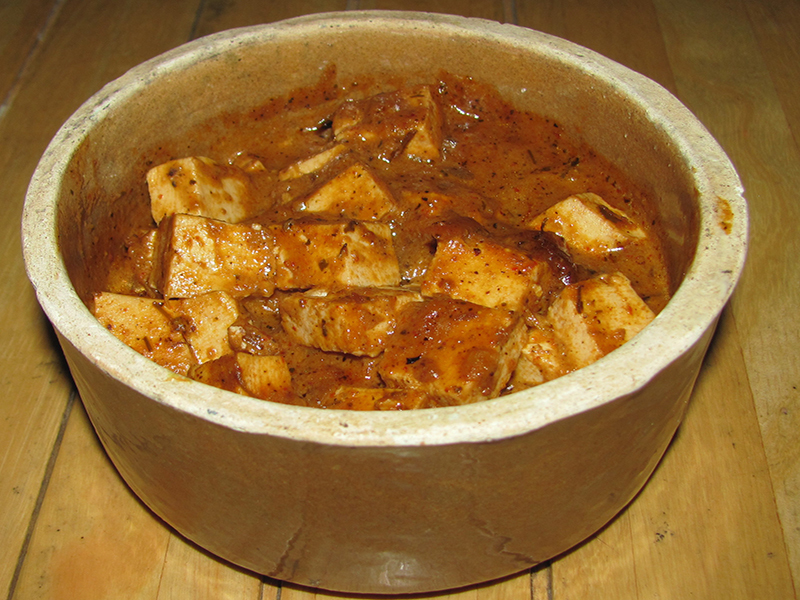 Paneer Butter masala is a very popular vegetarian dish which is loved all around the country. This Mughlai recipe is quick and easy but will taste exactly like those in restaurants. In a large bowl, pour hot water. Add salt and mix well. Add the cubed paneer pieces and let it sit for a while. This will make the paneer pieces soft. In the meantime, heat the oil in a wok. Add the onion . sauté on a low flame till golden brown in colour. Add the ginger garlic paste and sauté for another 1 minute. Add the tomato puree, tomato ketchup, coriander powder, red chilli powder , Kasuri Methi and salt. Fry till the oil separates from the masala. This will take 10 minutes on a low flame. Keep on sprinkling water if the spice mixture sticks to the bottom of the wok. Pour milk and ¼ cup water mix well. 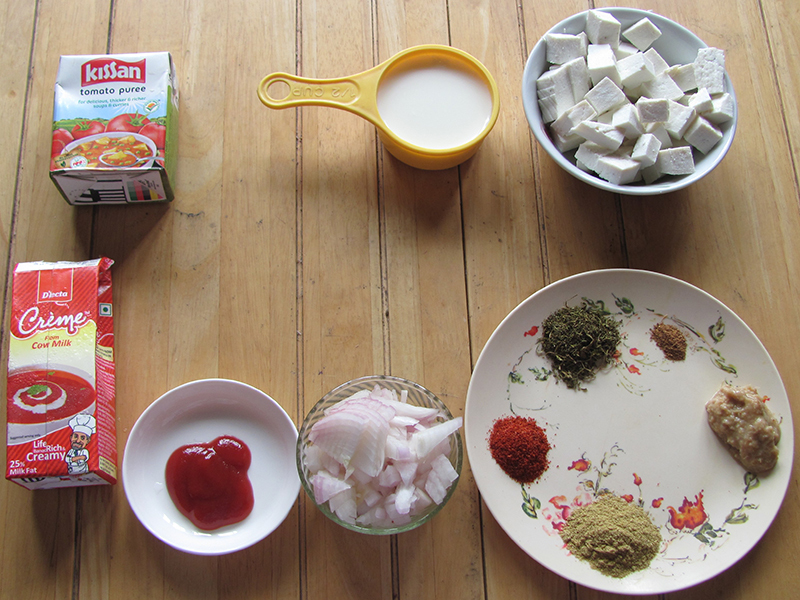 Add the drained paneer cubes. Mix well and let it come to a boil.